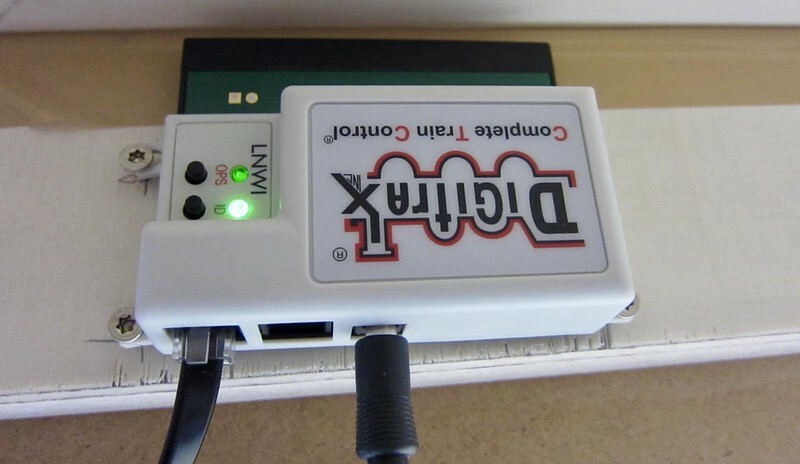 My new Digitrx LNWI (<!-- m --><a class="postlink" href="http://www.digitrax.com/products/wireless/lnwi/">http://www.digitrax.com/products/wireless/lnwi/</a><!-- m -->) arrived today. I plugged it into the LocoNet bus and and the little power supply in the power outlet and the physical installation was complete. An old iPod (bought in 2011 and used on our US trip) is used as the new handheld remote control. The App got installed and the WiFi selection changed from my home net to the LNWI and everything was up and running. It works great and the installation is as smooth and simple as advertised. It will be less used to replace my two UT4 hand controls but the iPod is very handy while testing engines on my work desk on the other side of the room. Very nice sir. Have fun with it.